When I get into online debates with my fellow left-leaners or culture geeks, I’ll often think to myself (or say in words) that their argument lacks a sense of proportion. Indeed, proportion is possibly the single most important part of any position or, very definitely, any mixed drink. That’s why high-end craft bars will often gladly tell you all the ingredients in a drink while steadfastly refusing to provide the proportions, because therein lies the keys to the cocktail kingdom. So, that’s how it is I’m presenting two drinks in a row that have the same name and the same ingredients. 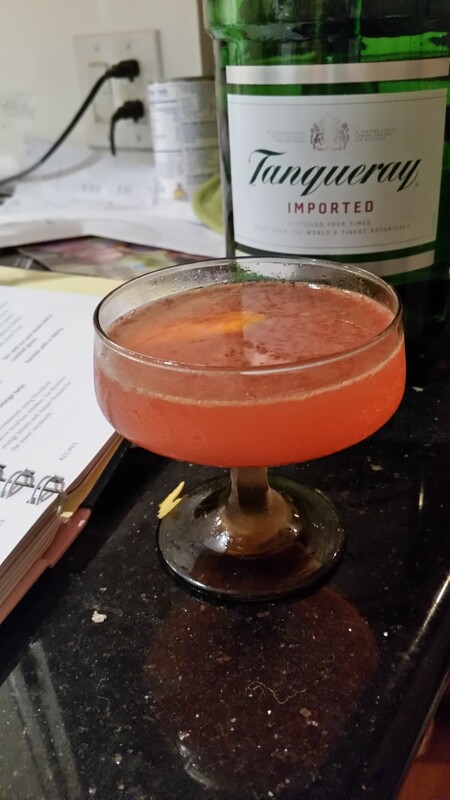 I would, however, argue that last week’s version of the Jasmine Cocktail, substantially tweaked by Robert Hess, is a much different beverage from this week’s, which was first created in the 1990s by Washington bartender Paul Harrington. It’s definitely much stronger on the lemon flavor and much less so on the contributions of the two liqueurs included in both drinks, but see for yourself. Combine the liquid ingredients in a cocktail shaker. 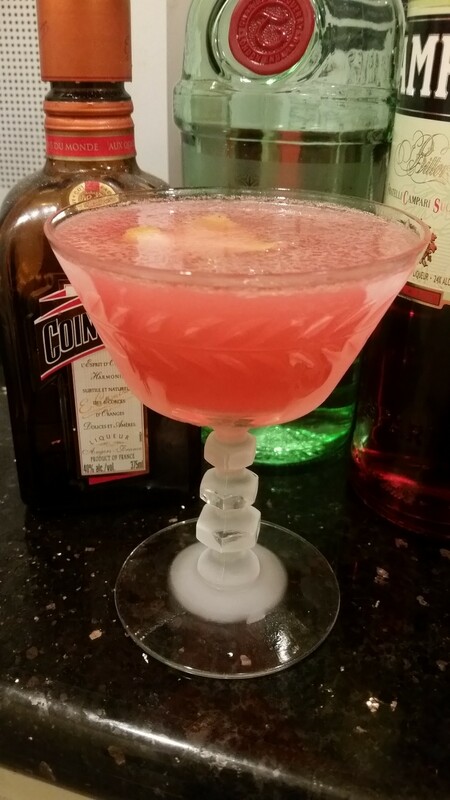 Shake very vigoriously and strain into a chilled, smallish cocktail glass. Salute the fruit of the lemon tree, which is impossible to eat on its own, but so darn useful for making so many things taste better. 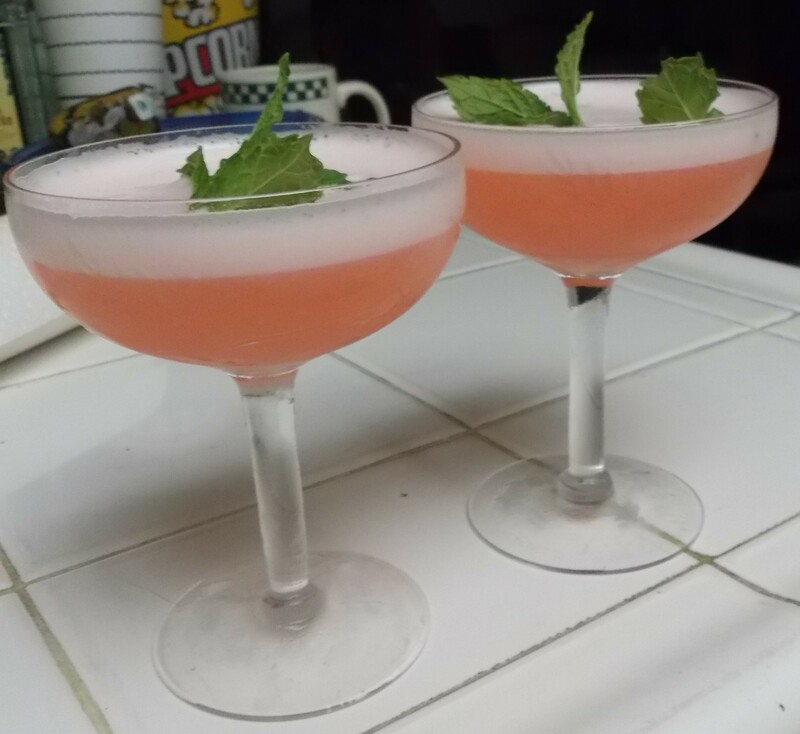 I found the Jasmine Cocktail, or simply Jasmine, in Robert Hess’s oh so reliable “The Essential Bartender’s Guide.” Today’s recipe, however, is actually the second version of the recipe that Hess presents and I decided to do this version for a reason. You see, while the ingredients in both Hess’s version and the original, reportedly created by bartender and writer Paul Harrington in the 1990s, are the same, the proportions of everything but the base spirit are wildly different. Harringtons’s gin-based cocktail is relatively heavy on lemon juice, light on flavoring elements and, as I’ve often mentioned, very tart drinks aren’t really my super favorites, though I’m usually fine with more bitter flavors. 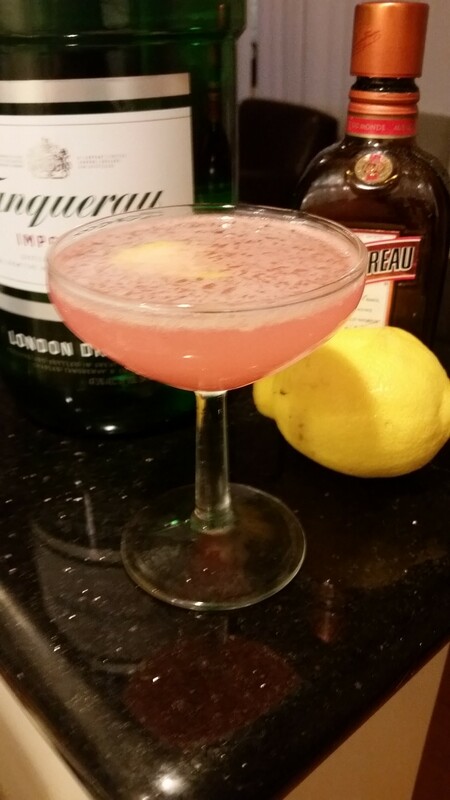 Since the Hess version takes down the lemon juice slightly while significantly increasing the proportion of two bittersweet cocktail standbys, Campari and Cointreau, I was naturally more attracted to his version. Still, I’m liking the Jasmine Cocktail a la Hess so much that I’ve grown curious about the original. So, stay tuned for that next week. In the meantime, here’s my slightly altered take on the Hess iteration.